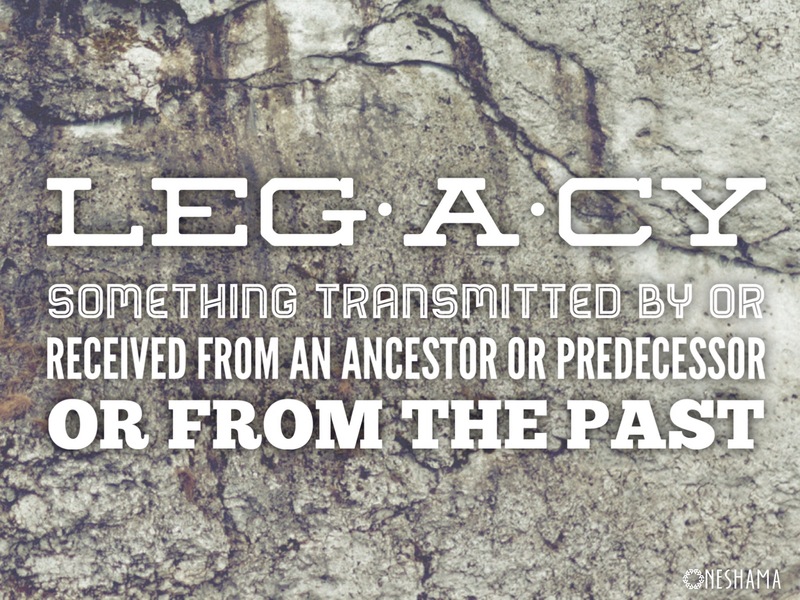 The word “legacy” is something we don’t often consider. We go about our daily lives, hoping we do things right and don’t screw up too much, but we don’t consider the long term impact that we have on those around us. Exodus 24 – 31 is the passage of scripture where Moses ascends Mount Sinai to receive instructions from G-d in the Tabernacle and G-d gives him the tablets to take to the nation of Israel. For forty days and nights Moses was up in the mountain, engulfed in a supernatural cloud. What is often overlooked is that Moses wasn’t alone. This is the same Joshua that came back from spying out the Land and had a good report. This is the same Joshua that leads the children of Israel into the Promised Land. This Joshua was aide to Moses. He saw it all – the highs, the lows, the good, the bad, the ugly. He was there when Moses met with G-d in the mountain. He was in the tent when Moses would talk with G-d face to face. He watched as Korach, Moses’ cousin led a rebellion against him. He saw Moses’ own brother and sister come against him. He was there when Moses pleaded with G-d to spare the people after the golden calf incident. He saw Moses’ patience with their constant grumbling. He saw Moses strike the rock – the incident that kept him from the Promised Land. Joshua saw it all. Joshua was Moses’ legacy. Joshua watched what Moses did and how he reacted to things. Moses’ whole life was an example to Joshua. 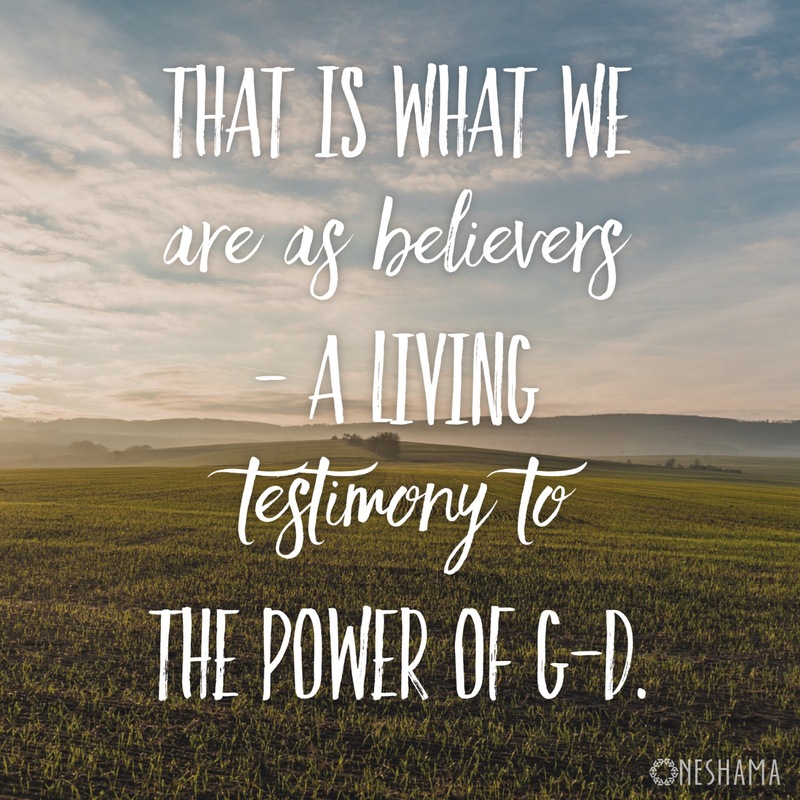 That is what we are as believers – a living testimony to the power of G-d. Whether you are aware of it or not, there is always someone who is watching your actions and reactions. Sometimes people will be impacted by something we did before we ever came in contact with them. 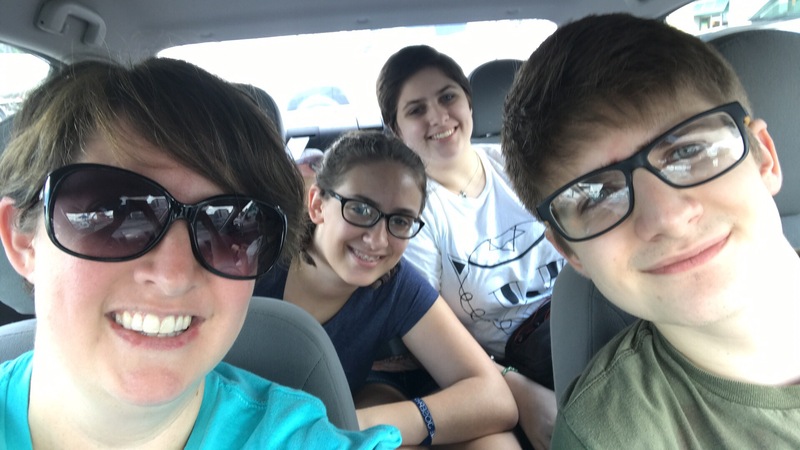 Last weekend I took my four oldest kids on a road trip to Atlanta’s Congregation Beth Hallel to see Miqedem in concert. We were talking and then I see my daughter dancing in the back seat – as much as you can dance when you’re crammed in with your two sisters (one daughter is hiding in the photo below). I asked her what she was listening to. “Fountain of Life,” she replied. 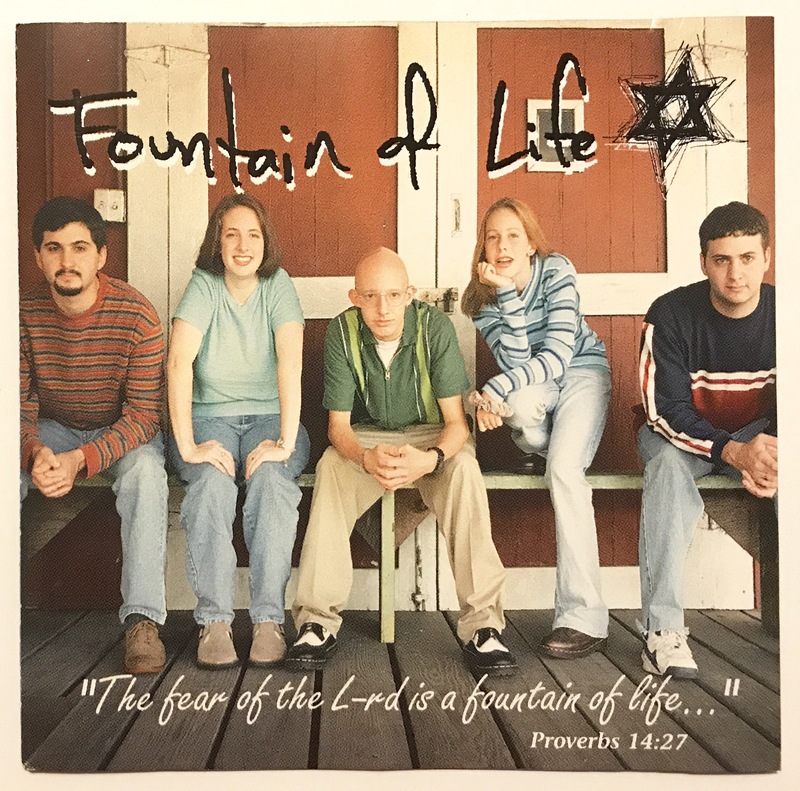 “Fountain of Life – Who are they?” you might be asking. For a brief moment in time, my husband and his brother along with myself and two of my siblings recorded an album of Messianic songs that my husband had written. It was the year after we were married and we were going to take the Messianic movement by storm with this great new music! As they say, “Man plans and G-d laughs.” I remember saying, “If this whole process of song writing and recording and playing our one concert is all for one person to hear one song that they needed to hear – it was all worth it.” And there were people that came up to us and said how much they loved the album and it really ministered to them, etc. Yay! Mission accomplished. The album was put aside for life, having kids, and raising kids. It’s now the 20th anniversary of the album release. I was just two years older than my oldest child is now when we recorded the album. I sat in the car and listened, with tears threatening to spill over, as we put the album on for everyone and my kids sang all the words to all the songs on that album. They knew them so well that they could even hum along with the instrumental parts! I had no idea when we recorded that album that TWENTY YEARS LATER I would listen to my kids singing it. The wonderful thing is that the words to those songs are straight from my husband’s heart – his desire to know and be close to G-d – and those words are now emblazoned on my kids’ hearts and minds. That is our legacy. You may never get to see the impact of what you said or did on someone’s life. You may never know how far reaching your word of encouragement goes. Despite that, know that you are being used. Even in our weaknesses, G-d speaks and acts through us. Take time this week to be intentional as you interact with those around you. One word or mitzvah can change a life. Everyone leaves a legacy. What is yours? Enjoy this little gem from the 90’s, a song that opened my eyes when I was young to the fact that my words and actions had an impact in the kingdom.